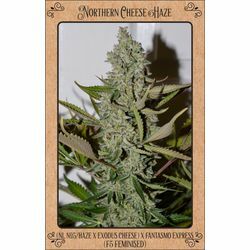 Sanniesshop sells both feminized and regular cannabis seeds for both the novice and the experienced grower and offers a wide variety of cannabis strains. The seedbanks that are affiliated with Sanniesshop have earned their stripes and proven themselves as breeders on Opengrow.com or through other social media so that the customer can always be assured of a strain that has been carefully thought about! Sanniesshop offers a carefully selected assortment of different types of cannabis seeds in order to accommodate the wishes of our customers as much as possible. 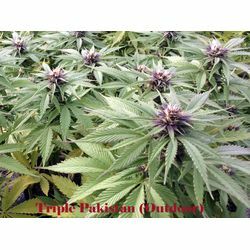 Indica are short flowering plants with a stoned effect and opposite we have the sativa plants with a long flowering period and a high effect. The hybrid plant will be a mixture of these two. Landraces originated in nature and evolved under the sun and climate in which it finds itself. To get an idea of what kind of effect the type you are considering to buy has, it is useful to know what proportions the THC and CBD levels are. The percentages and combination of the two provide a specific effect and can give you an impression of what is to be expected. However, it must be taken into consideration that there is much more to be found in active substances in cannabis, which will also influence the final effect. By trying you can find your winner for yourself and use it as a mother plant. Because of our wide range of different strains, it is easy to find the right strain that can have a positive effect on your condition or for pain relief. Each strain has a different effect and every person responds differently to the percentages THC and CBD. In our descriptions we offer a comprehensive explanation and specifications to point our customers in the right direction.